It's that horrible time again, folks! People weren't really specific about what goal they wanted, so I'm going to repeat the bullheadedness one to move things along. But since we didn't succeed last time, I'm not going to be fast-fowarding through it; perhaps this time goons can find a combination of choices that will work? Enerin goes back to an ancient time, a time before Umath, before Yelm, and long before Orlanth. Everything is good. There is good pasture land, and Enerin's four-legged people eat well. But not everyone is well-fed. 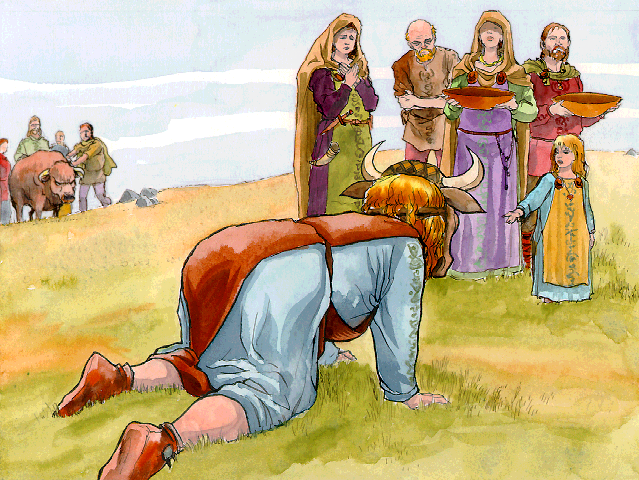 Two-legged people come and beg Enerin's bulls for help. "We have found this thing called hunger, and would like your bulls to chase it away," they say. -Encourage the bulls to chase the two-legs away. -Encourage the bulls to help the two-legs. -Find a high place and watch the two-legs when they leave. -Let the bulls chase the two-legs away. -Promise the two-legs that you will help them later. -Prepare to be attacked by biting things. 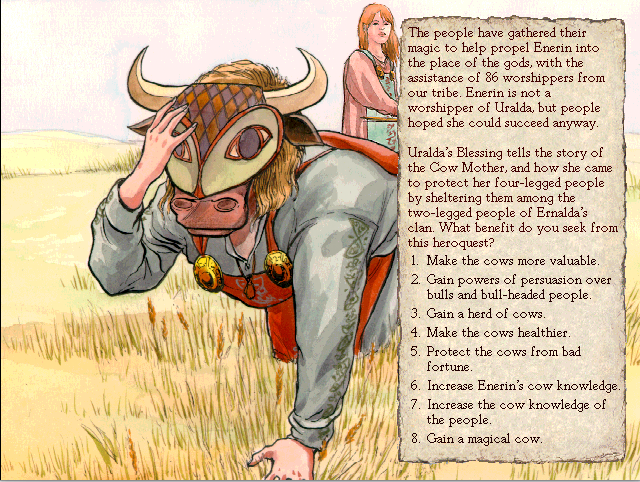 -Sacrifice cows, to lend Enerin strength.